U.S. President Donald Trump’s Afghanistan reconciliation envoy insisted Wednesday that the discussions of a negotiated political settlement to end the war “will happen soon” despite the Taliban threatening to cancel the discussions. Amb. Zalmay Khalilzad, the U.S. special representative for Afghanistan reconciliation, however, cautioned that if the Taliban continues with its terror campaign, the United States military will keep backing the Afghan security forces, Khaama Press (KP) noted. If they [Taliban] do not choose to come to the table, if they choose to continue fighting, the United States will stand with the Afghan people and the Afghan government and support them. We in the coalition are proud of our support to Afghan security forces. Afghan security forces and military pressure are important in this phase. His comments came in response to the Taliban threatening to pull the plug on the peace talks. The Trump administration, marking a significant departure from its predecessor, is discussing reconciliation directly with the Taliban while insisting that the Afghan government must participate. Under Trump, the U.S. has escalated its peace-seeking activities in Afghanistan, making “political reconciliation” between the Taliban and the Afghan government the primary goal of its strategy to end the war — raging since October 2001 at a tremendous cost of nearly $1 trillion, over 2,270 U.S. military fatalities, and more than 20,400 injuries, primarily at the hands of the Taliban. In addition to the record number of civilian deaths and injuries, Afghan National Defense and Security Forces (ANDSF), which include military and police units, have also suffered a historic number of casualties that some top American military officers have described as unsustainable. Since 2015, the first year with the ANDSF in lead of security responsibilities after the U.S.-NATO coalition declared their combat mission over and pulled out most of its forces, the Afghan forces had suffered 28,529 fatalities as of mid-November, President Ghani revealed, noting that the in the same time frame, 58 American troops lost their lives in the war. Based on the figures provided by Ghani, the ANDSF fatalities are nearly 500 times higher than those suffered by the U.S. 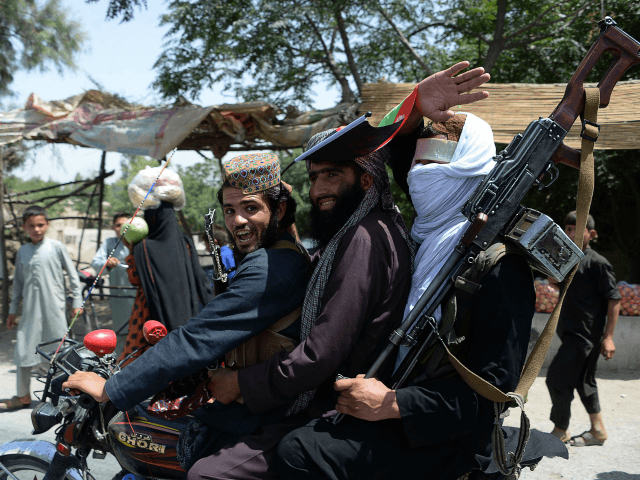 The Taliban is the most prominent of the estimated 20 groups that make Afghanistan home to the “highest regional concentration of terrorist groups in the world” – primarily located along the country’s border with Pakistan, the Pentagon reported several times. Taliban insurgents considers the Afghan government to be a puppet of the United States, thus its repeated refusals to talk with Kabul. Although U.S. troops deposed the Taliban from power in Afghanistan at the end of 2001, the group considers itself the legitimate ruling government of the country, and it is fighting to implement strict Islamic laws or Sharia. Taliban terrorists generate most of their funding from trafficking opium and its heroin derivative, some of which makes it into the U.S. where opioid addicts are dying at an unprecedented rate. Afghan terrorists, mainly the Taliban, control or contest 45 percent of Afghanistan, according to the U.S. watchdog agency. The key to success remains sustained military pressure against the Taliban. By convincing the Taliban that they cannot win on the battlefield, and credibly committing to a conditions-based strategy, we have greatly increased the odds of concluding a settlement on terms favorable to the United States and Afghanistan. The Trump administration has come out in support of Afghan President Ashraf Ghani’s offer to the Taliban — a truce and official recognition as a legitimate political group.